Stefano Evangelisti is an Italian student of Theoretical Physics at the University of Oxford. His posts give an intriguing insight into what life is like at one of the world’s leading universities. 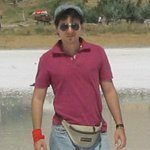 Hello everybody, my name is Stefano, I am a graduate student in Theoretical Physics at Worcester College, University of Oxford, UK. For my first post, I decided to write about “Oxfordian life and traditions” because they are a little bit crazy and a little bit incredible! As a D.Phil. student, I am a member of the Middle Common Room, something that I would define as a kind of ‘college club’ for graduate students. Probably you noticed that here we say D.Phil instead of the internationally recognised PhD, I told you that here people like doing things their way! With my work at the Dept. of Physics my typical day is so busy that I barely find time to sleep, but also makes me so happy that I would avoid resting at all if only I could! 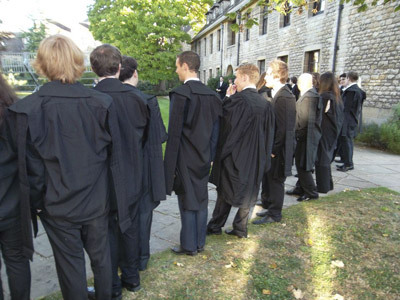 One of Oxford’s most special traditions is definitely the Oxford gown or ‘sub-fusc’. 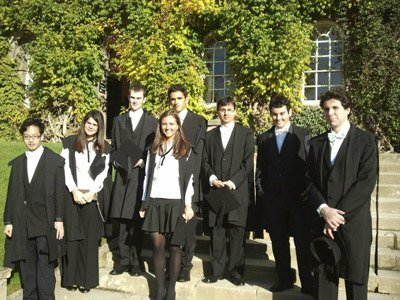 Walking through the centre of the town it is almost impossible not to see some students wearing the academic dress that includes a gown, black suit and bow-tie. The complete “sub-fusc” must be worn to the most important academic occasions, including Matriculation and Graduation, so people who study here need to buy a mortarboard and a gown. Pay attention however because undergraduate and postgraduate gowns differ. The older you are the longer your gown is and the better you perform as a student the larger and the more beautiful your gown can be. A suit and gown must be worn to all Formal Halls dinners where an entire protocol must be observed, from the prayer in Latin at the very beginning to the moment at which you must stand up while Senior Fellows are leaving the room. Believe me, the quality of the food is so good that the entire protocol is really worth following! It makes me feel like I’m Harry Potter eating at Hogwarts! Before concluding my post I just want to leave you with a taste of the Oxford glossary; a collection of strange words commonly used here, that have no clear meaning outside Oxford! Battels: the bill you will get from your college each term. Typically you find them in your pigeon hole. Bop: short for “big open party”, organized by a college common room but open to all students. Believe me, these parties are incredibly crowded. Not even in a sauna could you get so sweaty!! High table: the table on a raised dais at the top end of a college hall, where fellows and their guests sit down to it. When a student is invited to sit at the High table, this is considered a great honour. Matriculation: a short, obligatory ceremony at the Sheldonian Theatre to formally admit students to the University. It takes place at the beginning of the first term of the year. The ceremony is in Latin and has been for centuries. Mods or Prelims: this is the first set of formal exams undergraduates sit (wearing sub-fusc, of course). It is better not to fail them! Punt: a flat-bottomed boat propelled using a long pole, by students. 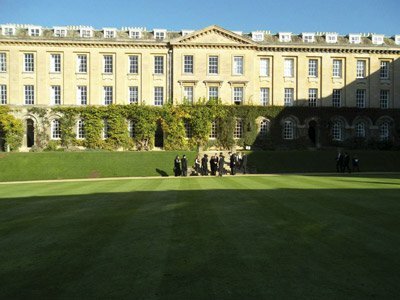 Punting is a very popular activity among Oxford students in the summer. Look out not to fall into the water, sometimes it happens! Now it is time to say farewell, I will tell you more in my next post! A great hug from Oxford!! Is English Food Really That Bad?